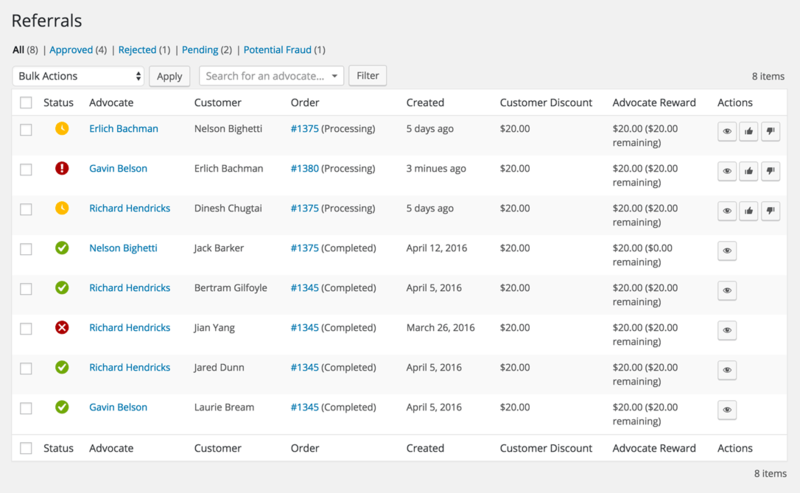 Boost your organic sales by adding a customer referral program to your WooCommerce store. 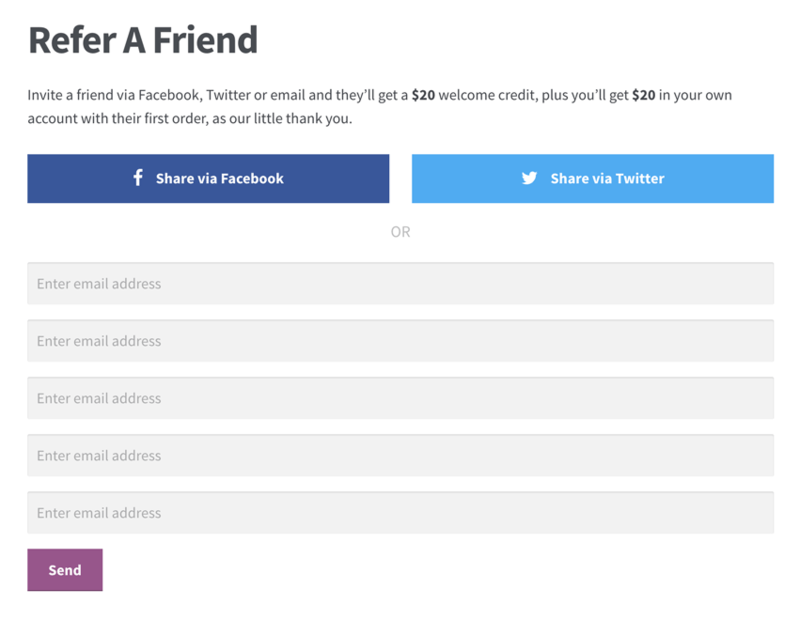 Adding a Refer A Friend program to your WooCommerce store is a great way to increase your word-of-mouth sales and numerous studies show that people trust recommendations from people they know. With this add-on for AutomateWoo it is possible to quickly set up a referral program that is customized for your store. Run a ‘coupon based’ campaign where advocates can share a unique coupon, giving the friend a discount and the advocate store credit for each successful referral. 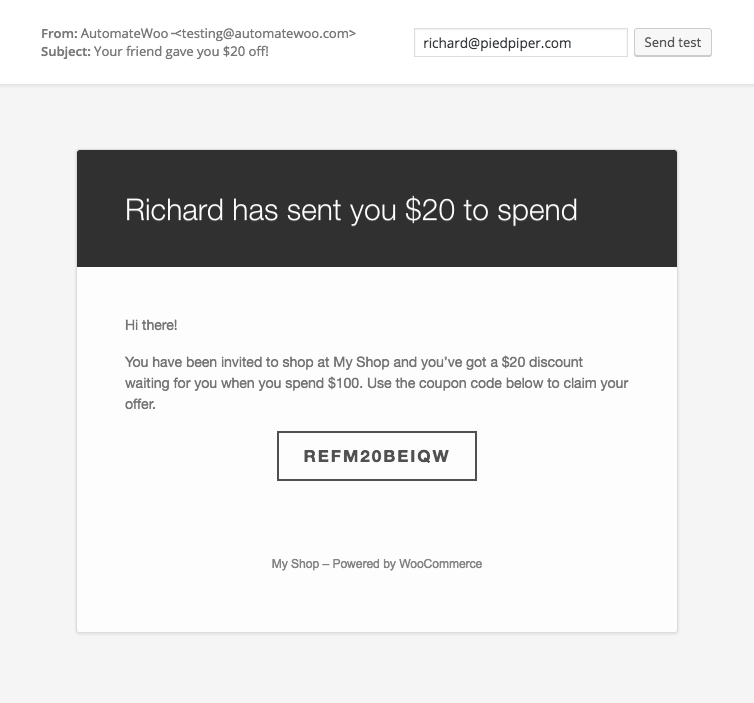 If you don’t wish to offer coupon discounts you can run purely ‘link based’ campaigns where advocates can refer their friends by sharing a unique link to your store. 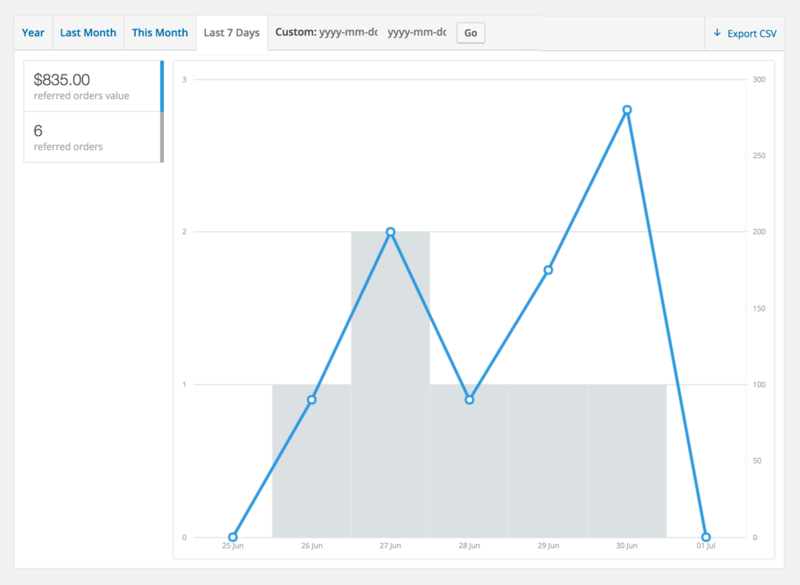 Easily create and manage a WooCommerce customer referral program all from your WordPress admin area. You can choose between either an automatic or manual referral approval process. Automatic approval means that any referral that does not appear to be fraudulent will be automatically approved once its corresponding order is marked as complete. The customer referral process is easy and flexible for advocates, allowing sharing via Email, Facebook or Twitter. For the advocate’s friend the process is equally simple as they can use a coupon to gain their referral discount. Each advocate has a coupon code that is unique to them. Encourage referral sharing by including the post-purchase share widget on the order confirmation page and by creating order follow-up emails using the email version of the widget. Advocate IP address matches that of the customer – The referral will be marked as potentially fraudulent and will be blocked from auto-approval. Matching IP addresses don’t always mean that the referral is fraudulent as your store could be shared among co-workers who use the same IP address. Matching cookies – A cookie is placed in the advocates browser and if present they will not be able to use a referral coupon. If there is a match the coupon cannot be used. 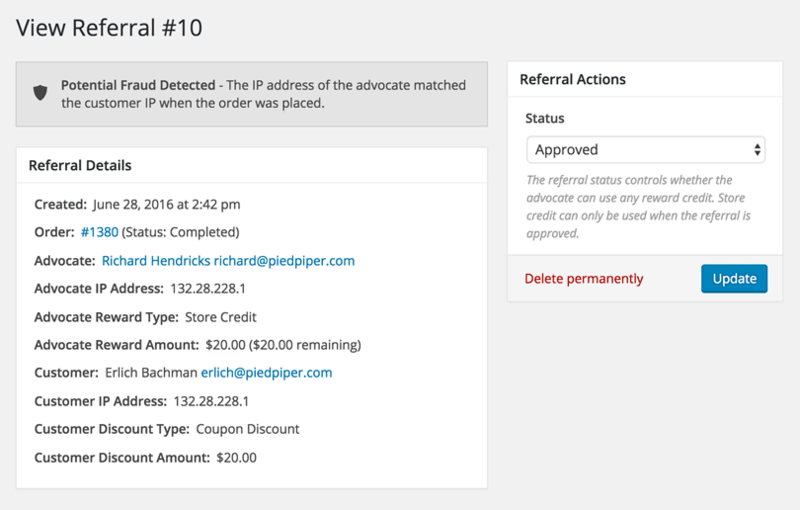 Matching emails – When attempting to use a referral coupon the billing email is checked against any previous orders. If there is a match the coupon cannot be used. Evaluate the success of your customer referral program by using reports that show the number of referral orders placed. 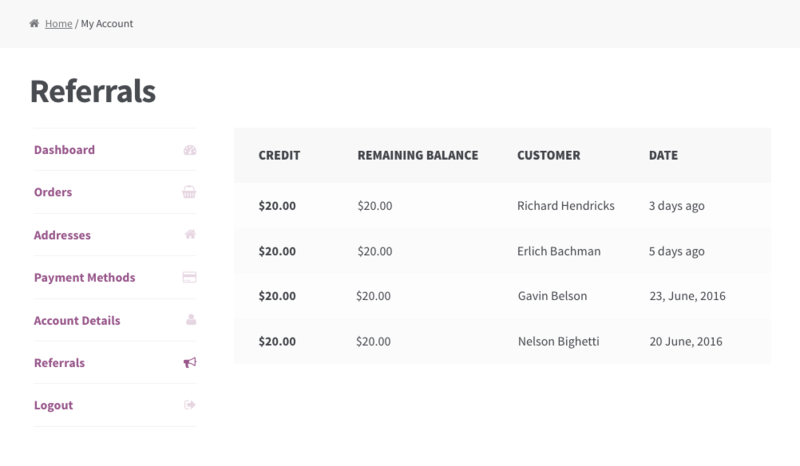 Using the new WooCommerce tabbed account API (introduced in version 2.6), advocates can view their successful referrals from their account area. 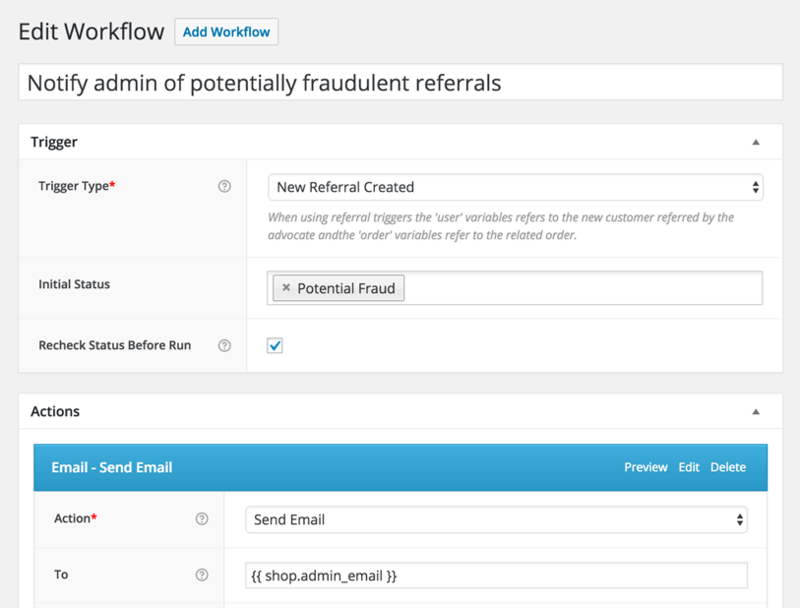 The Refer A Friend add-on integrates with AutomateWoo workflows adding new triggers and variables. This lets you set up automation for your customer referral program and also gives you complete control over any email notifications that you want to be sent to admins or advocates. Setting up is a very easy process! The add-on comes with default settings, including example text which you might want to change, but to kick off your referral program you simply need to create a ‘Referral’ page, add the shortcode and set your reward structure. Can you set an expiry on the referral coupons? Yes, you can set a number of weeks that the referral coupon is valid for after it is first shared. Does it work with WooCommerce Subscriptions? Yes, if an active subscriber refers a friend their store credit can be automatically applied to their next renewal payment. This will only work with payment gateway extensions that support recurring total modifications. Do I need to buy AutomateWoo to use this add-on? Yes, Refer A Friend is built on top of AutomateWoo. Is it possible to run the referral program by sharing links only, i.e. no coupon discounts? Yes, link based referrals are now an option.